The handlebar has a reach of 80mm and a drop of 128mm. Haha...will it ship with a slammed stem? Any idea how integrated the cables would be? I don't see any entry ports on any pics I've seen yet. ...I will only live once - Let my mega-overtime commence! 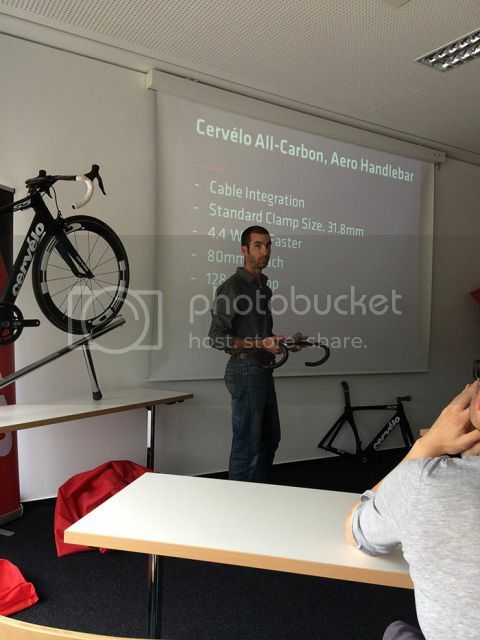 I'm a tad tired; did Cervelo say the bike comes standard with HED wheels and Conti's? Performance aside them bars look terrible lol. The bike though looks fantastic. I haven't been a fan of the S5 series but this new model has turned me. Wow that bike POPS! No one can say that model of S5 looks bad. I have a 2011 S5 but might have to up grade just for the looks. I have those same HED wheels on mine and they are a sweet ride. Im wondering...excluding the handlebar that we can install in any bike, how faster is this new S5 compared to the current (new as well) S3, frame to frame? 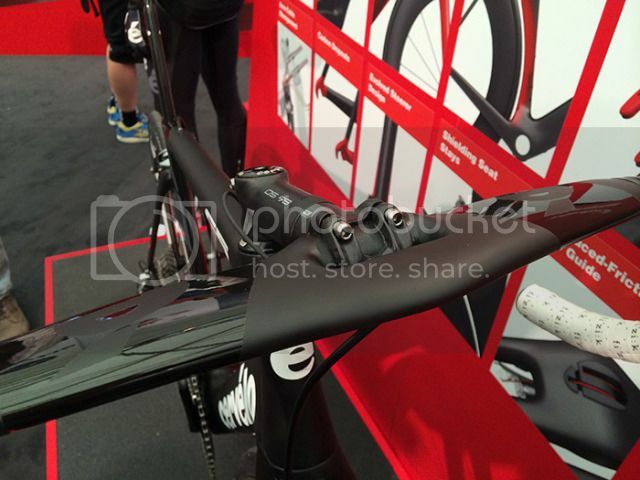 Cervelo went through a great deal to design the new handlebar for the S5. The benefit might be substantial compare to regular handlebar, but there might only be a handful of riders like the look of it. As for me, I would rather designed a clamshell fairing/cover using a combination of HD Foam with Polycarbonate skins and stick it to the existing handlebar. Much simpler update compare to buying a new handlebar at $400. 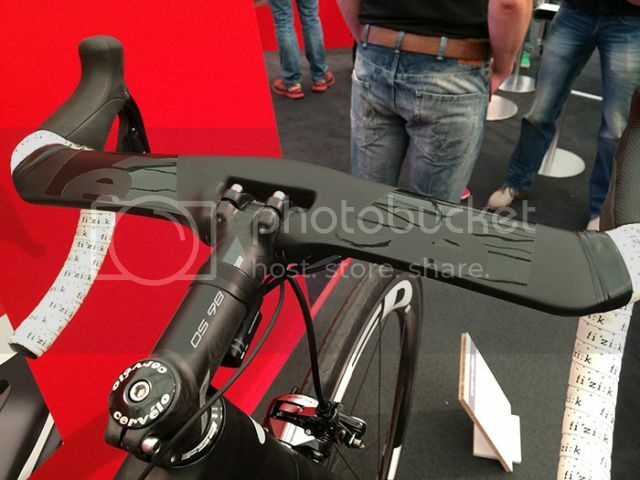 So, Has Cervelo started manufacturing its own bars? Or is it a Fsa or 3T with Cervelo logo? The aero advantage is out of the box comparison? can imagine that the HED wheels save 16 watt compared to the Cosmic Elite S.
Like the handlebar, thats a new aero concept (at least never seen somthing like that before). Wheels 16watt (guess) Handlebar 4 watt and there is the aero differnce between the old and the new model. But the article says 21.5 watts 'in addition' to the handle bars. Always wondered why they delivered an Aero bike with such non aero wheels? Price point? Cervelo bikes are top end, 1000 more or less will not break the deal for the majority of the Cervelo buyers. What brand handlebars are they? Would like to add them to my S5 now.